Halo effects with Doom64 TC? How do I get halos and lens flare, and all the other cool JDoom effects working with Doom64? It's a great TC btw, but I'm still not sure if it looks better than the original. I got Doom64 on emulator and I'm kinda playing both to see which is better. Um, in the options menu maybe? The control panel is best. Everything is on, but I don't see halos, or lens flares while playing Doom 64 TC. the only "things" effected by the halo effects are the tech lamps. as for everything else, I removed them. Seems to me it could have something to do with your video card. are you running it in direct x, or opengl mode? You are the guy who made the Doom 64 TC? 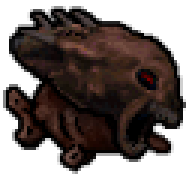 Just curious, are the textures on the monsters and the enviroments all taken from Doom 64 on the N64? Which looks better the N64 Doom 64 or the Doom 64 TC? some textures have been re-created, but 95% of it has been extracted, and all sprites as well. the levels were made/re-created from scratch. Uh, I didn't have a problem finding it. Did you look hard enough for it? I think so. It defintely wasn't in the same place as the N64 version. on easy, the blue key is by the switch past the elevator. in medium/hard, you have to hit the switch then turn around and find the hidden door which holds the blue key.